TORONTO, Oct. 5, 2017 /CNW/ - Venus Concept is pleased to receive the Health Canada license for Venus Velocity™, the new gold standard diode laser for hair removal, permanent hair reduction, and the treatment of pseudofolliculitis barbae (razor bumps). Venus Velocity™ is the newest diode laser system for hair removal and permanent hair reduction with gold standard efficacy and safety—now available in Canada. 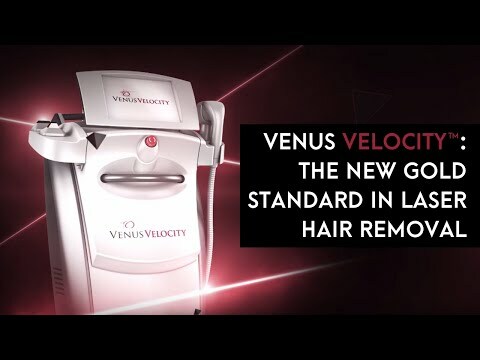 With Venus Concept’s unique business model, an affordable price, longer warranty, no disposables, and Internet of Things (IoT) integration, Venus Velocity™ is the only hair removal system of its kind to deliver a positive ROI. Hair removal treatments have been offered for more than 20 years now, and it still ranks as one of the most popular non-surgical cosmetic procedures, even among men. In the U.S. in 2016 alone, there were over a million hair removal treatments performed, according to the American Society for Aesthetic Plastic Surgery (ASAPS). Despite being a high-demand procedure, laser hair removal is often a loss-leader for treatment providers, due to competitive price pressure and the high cost of ownership. Venus Velocity™ was launched in the U.S. in January 2017, and now it's here to make hair removal profitable again for Canadian providers. In fact, it's the most profitable hair removal system on the market today with more affordable pricing, longer warranty, no disposables, Internet of Things (IoT) integration, and Venus Concept's unique subscription-based business model. Venus Velocity™ is also more versatile, faster, and more comfortable than current competitors, with two modes of operation (SLIDE and PULSE), three changeable spot sizes of up to 7 cm2 on an ergonomic applicator, and a revolutionary real-time cooling system. "We are thrilled to be able to reinvigorate the aesthetics industry with a hair removal device that can actually generate a positive return, while also delivering a fast and comfortable treatment for patients," said Domenic Serafino, Chairman and Chief Executive Officer at Venus Concept. "Our goal has always been to provide the most innovative aesthetic solutions for practitioners while also prioritizing the needs of patients, and Venus Velocity™ does exactly that." Venus Concept is a leader in the global medical aesthetics market, pairing best-in-class technology with the first and only true subscription model in the industry. In partnering with Venus Concept, aesthetic professionals worldwide gain access to never-before-seen business features such as the most comprehensive warranty program, unmatched marketing support, continuous clinical education, valuable practice enhancement programs, and more—all at no additional cost. For more information about Venus Velocity™, visit www.venusconcept.com/en-us/products/venus-velocity/.